Vietnam is Top ranking country for Japanese companies to expand business in 3 consecutive years ! Many people are carefully watching the trend of growth in ASEAN region. Especially Vietnam is one of key countries of business expansion for many Japanese companies in both manufacturing and marketing. In fact, it is not so difficult to establish a legal entity but there are a lot of business risks after starting operations, such as business conditions, changes in markets, complexity of laws and regulations and business practices, etc. In addition, it is essential to undertake many management tasks in order to grow rapidly, such as human resource development, sales expansion, local procurement development and so on. Can you manage all tasks with your team members only ? Can your local consultant give you good advice for all tasks ? Leap Bridge VJ partner Co., Ltd. is established to provide hands-on support of management issues of Japanese companies deployed in emerging countries, especially Vietnam. As a bridge to achieve the leaping for future of both countries, we commit full support for your Vietnam business by a speciality of METI certified SME management consultant skill being familiar with the practice of global management strategy and Vietnam. 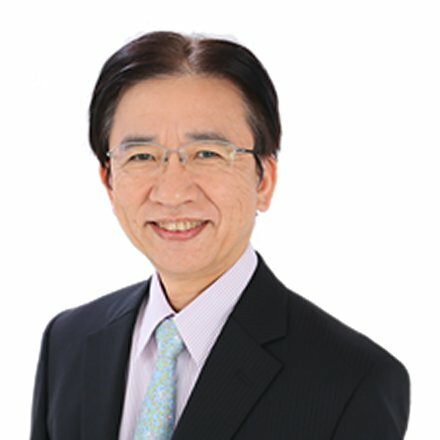 Born in 1957, from Osaka Prefecture, METI certified SME management consultant/Certified Retail Marketing Expert, 1st Grade. Engaged in Corporate overseas business strategy in former Panasonic Corporation for 34 years (including 13 years experience in managing responsiblities in US, UK and Vietnam) and 6 years experience of Vietnam project support and consultant for SME’s. He has been in charge of Overseas strategic planning for 34 years including Panasonic Corporation’s 13 years assigned responsibilities in overseas. Then after, it was a big trigger to reconsider his life value when he had started to work in Vietnam in 2010. He was impressed by the bright eyes of the children and people who are working hard towards the realization of happiness for future. It looks like Japanese people after WWII had worked hard and achieved the economy revolution. He believes the key of industrial development in Vietnam must be relied on the foundation of supporting industries, deployment and success of Japanese small and medium enterprises will be primed. Ackowledging the supporting program by public agengies of Japan for Japanese SME’s deployment in Vietnam, however, he strongly felt it was insufficient to start up the business. He was confident Management support after starting operations would be more important than the support to deploy entities. By supporting the success of Japanese enterprises in Vietnam directly, it must be lead to contribute to the development of Vietnam and the happiness of Vietnamese people. Finally he decided to make his life work for the development of Vietnam and Japanese companies and early retirement of Panasonic at the end of 2013. In the early 2014, he established a consulting business firm for Japanese companies to deploy in Vietnam, and supported over 20 companies for deploying overseas operation and HRD to date. While assignment of JETRO Emerging country Experts, he was also appointed Vietnam Support Expert for other public agencies such as SME support and JICA ODA expert. “Contributing to the success of Japanese enterprises in Vietnam businesses, striving for a bridge of leap over Japanese enterprises and Vietnemese people” – where both Japan and Vietnam are mutually and rapidly happier in future. Leap Bridge VJ Partner Co., Ltd. Copyright © Leap Bridge VJ Partner Co., Ltd. All rights reserved.